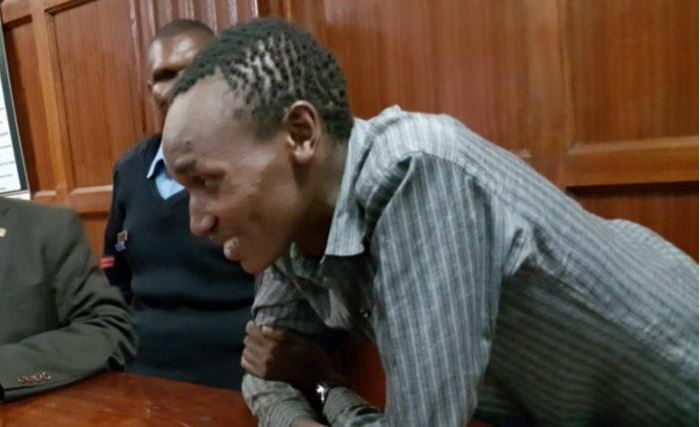 Suspected conman Benson Wazir Chacha is fit to stand a trial, a Nairobi Court has been told. This after a mental health assessment was conducted at the Mathari hospital. The suspect was arraigned in Court on Monday, April 9 and charged with six counts, including conspiracy to defraud, obtaining registration by false pretence and intent to defraud. Further charges included; obtaining money by false pretence, attempting to obtain money by false pretence and impersonating a public officer. He was accused of impersonating Murang’a Women Representative Sabina Chege. Chacha denied all the charges before Milimani chief magistrate Francis Andayi. The Court heard that Chacha conspired to register a Safaricom mobile number in the name of Sabina Chege. He then used the number to contact former Gem MP Jakoyo Midiwo on March 4. Midiwo, who gave Chacha Sh20,000, has since been listed as a witness alongside Sabina Chege. The Magistrate ordered that Chacha remain in police custody pending the hearing of an application by the Prosecution to have him denied bond and bail terms. The Prosecution argued that the suspect is a flight risk since he has no fixed abode.